Looking for talented and creative designers to work with us on [login to view URL] as our partners. Does the logo focuses on e-commerce, shopping cart and the best quality of customer services? Congrats to the winner though went against the requirements but it is a nice logo at that Good job. 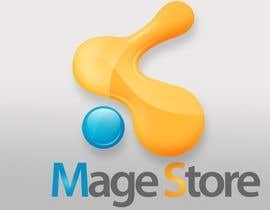 Right after I received the source file, I'll use the logo on www.magestore.com then I'll let all of you know. can we see astica's design ?? Thank you all for your entry. Please use "Magento Leading Innovation" as the slogan for your design. 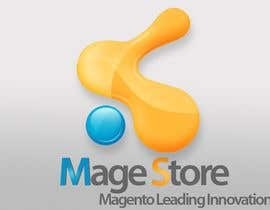 To be very honest, I have enjoied every moment while designing LOGO for " MageStore". It was a great time for last two days. I have submited till now 84 designs for your comments. I honour your selection out of the total number of designs you receive. THAT WILL THE BEST THE OF YOUR CHOICE. I am from India. I am 70. After a long gap, I was back in action as Graphic Designer. YOU HAVE MADE ME COME BACK IN MY REAL CREATIVE WORLD.I THAN YOU FOR THAT. I wish you and your team members the best of health. I also thank the organisers from "Freelancers dot com. I take your leave and once more I thank you. I expect such more creative competitions to enjoy in near furure too. KEEP IT UP. Simply the best way to be happy and to make someone happy. ........... from Vasant Dhobley ( Freelance Graphic Designer ). I'm going to select the winner in one minute. Thank you all for your design. I'll need all of you for other contest soon. 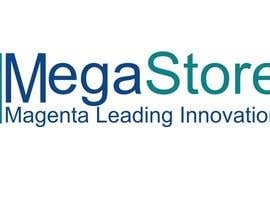 Hi Everyone from MageStore.com, hope you'll get the right Logo here and your business will grow. Good luck! after I read your message in here, I add "Magento Leading Innovation" as the slogan for my design, hope you will like it. #160 . Sir, Please see my PM and review it. Thank you very much. Hope you will like the Logo.Please give your valuable comments on it.Thank You. Hello there! It would be nice to comment my logo ... thank you in advance! 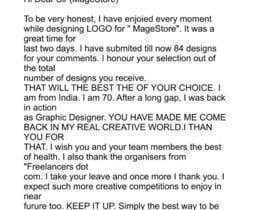 Dear Sir, from MageStore ....NO MESSAGE FROM ME.....I SEND THE LOGO DESIGNS ONLY FOR YOUR COMMENTS. Dear Magestore, I've uploaded my logo especially for your corporation, I have AI, EPS, PSD version too if you need. and the logo that I created is fully editable. hope you like the logo that I've created. This time,it will be me. For sure. We are a team of graphic designers and we are currently getting jobs online. A business partnership is what we are looking for. Kindly, send me details on what you need. We are very interested on working this out with you. Our per hour rates are very flexible and we can even work within your budget, if you have already set one. Thanks so much and hope to hear from you. This is a guaranteed contest so I'm sure that I'll award the prize for the best design. After this contest finish, I'll have many more design contest for all of you. 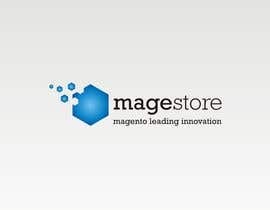 We also looking for some talent designers to design Magento template on www.magestore.com so that's a long term partnership. Please send us a private message if you want to be our partner. I will make the best logo for your services!